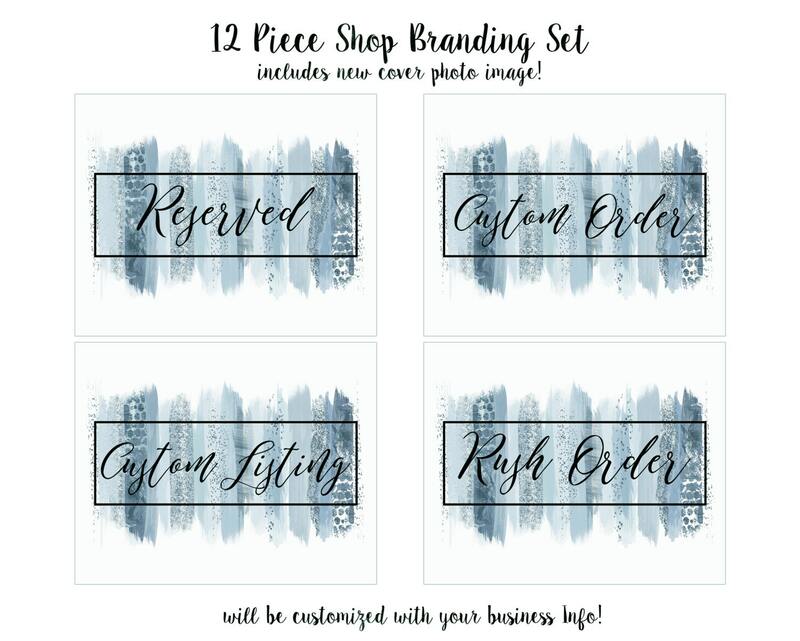 PREMADE ETSY Shop set! 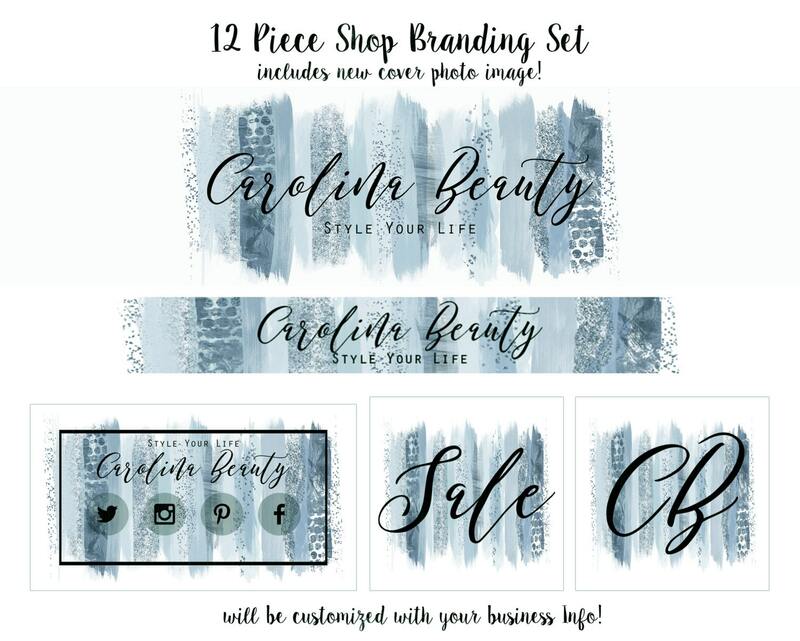 Includes 12 Pieces, Cover photo image, Shop banner, Shop Icon, Sale Icon, and Custom Listing page & More. All items created professionally with optimal image sizes for best display! 2 watermarks ( 1 black, 1 Blue). Add-ons available for Facebook Timeline, Round Stickers, Thanks you cards etc, just message me with whatever you need created! Complete shop set up - With a Modern Minimalist Blue Paint Strokes design! 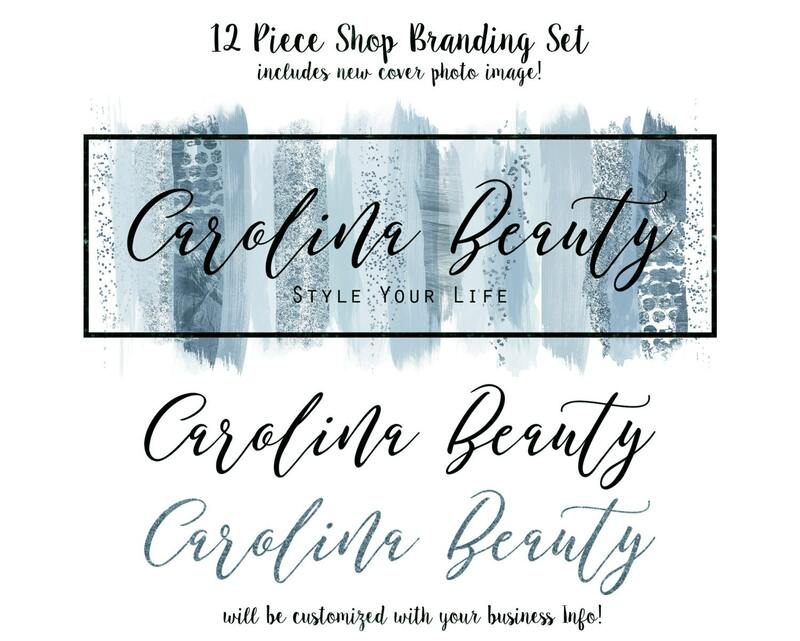 Make sure to include your shop name, and any tagline in notes to seller at checkout, or just convo me via etsy message system.